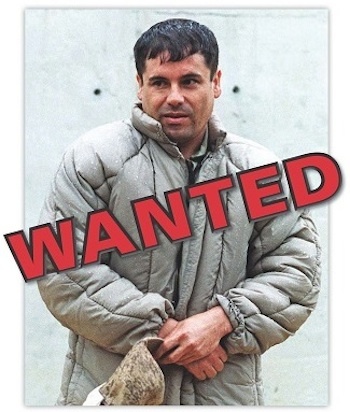 Mexico’s most notorious drug lord has escaped from prison again. Joaquin “El Chapo” Guzman was last seen stepping into a shower when he escaped from a maximum-security prison through a tunnel. What authorities discovered was baffling – a lighted tunnel that stretched nearly a mile long from the prison to a half-built house, CNN reports. “This represents, without a doubt, an affront to the Mexican state, but also I am confident that the institutions of the Mexican state, particularly those in charge of public safety, are at the level, with the strength and determination, to recapture this criminal,” Peña Nieto said. Guzma, who has run a deadly drug trafficking ring, escaped from prison in a laundry cart in 2001. Posted: 7/13/15 at 9:14 AM under News Story.